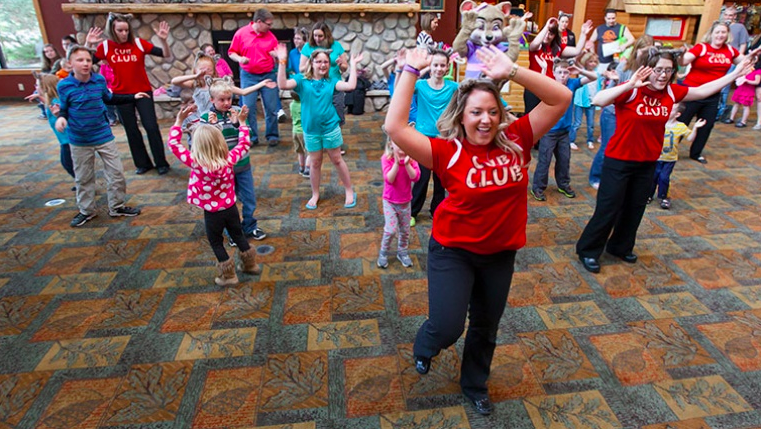 Four Surefire Ways to Find a Great Wolf Lodge Coupon or Deal! Our kids love waterparks and staying overnight, so what’s better than the Great Wolf Lodge hotels? Not much, that’s what! These super kid friendly hotels check off almost everything on the mini-vacation bucketlist. But, it’s a much better vacation when I can get ahold of a Great Wolf Lodge coupon, that’s for sure. Besides finding a Great Wolf Lodge Groupon deal, there are other ways to save. Check out these awesome ideas. 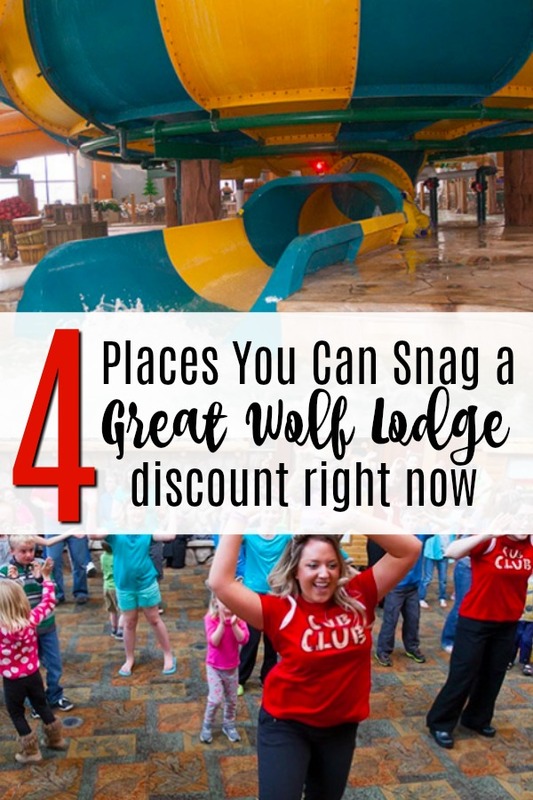 Naturally I set out to find every possible place to find a Great Wolf Lodge coupon that I could and ended up with four different places that you should try and get a discount for Great Wolf Lodge hotels. I’ve linked all of the places to search for discounts here in this post and I’ve also outlined some popular questions about getting Great Wolf Lodge coupons that I’ve been asked in particular. I hope you never pay full price for a stay at this super fun hotel, as it’s pricey at full price, but when you can catch a sale, or a coupon, the price is right! Is there a current Great Wolf Lodge Groupon? It seems like there is always some sort of discounts for Great Wolf Lodge on Groupon. Is there a current Great Wolf Lodge Living Social? You never know unless you check, right?! And, you’re in luck! Great Wolf Lodge discounts can often be found on Living Social as well as Groupon. Head to the Great Wolf Lodge Living Social page here to check out any deals that are currently available. And, much like theGreat Wolf Lodge Groupon deals deals page, you’ll want to bookmark the Great Wolf Lodge Living Social deals page found here so you have it handy for finding the best price on your Great Wolf family getaway! What is the Great Wolf Lodge admission price? This is a loaded question, because technically, the Great Wolf Lodge water park passes are free. But, you have to pay for a one night stay at the hotel in order to get your water park passes, so in reality they water park passes are the cost of the room minus the overnight amenities. Your Great Wolf Lodge overnight stay will depend on the time of year you go, the size and style of room you have and the number of patrons for the water park you have. As of my last check you can add up to two wristbands for the water park with your stay for an extra charge, but you cannot purchase the water ./≥÷.3park bracelets alone. If you get a deal on Great Wolf Lodge through Groupon or Living Social you’ll pay $99-$149 per night usually, but without a deal on your stay you might end up paying $199-$329 per night. Does Great Wolf Lodge offer printable coupons? This is why looking out for a Great Wolf Lodge coupon or deal is so important! As far as wondering if Great Wolf Lodge ever offers printable coupons, the answer is: unfortunately, not really. That is, there aren’t really ever printable coupons for overnight stays at Great Wolf Lodge. However, you will sometimes find coupons for things like free perks while you’re staying at the resorts, for example, you might find a coupon good for a free cup of candy, or a free soda at the Buckhorn Exchange which is Great Wolf Lodge’s General Store. Does Great Wolf Lodge offer Military discounts? Great Wolf Lodge does offer military discounts (woohoo!) The Program is called HEROES and is a special rate that Great Wolf Lodge offers for armed forces, law enforcement & EMS. There are some rules that apply as far as black out dates and holiday availability but this is a great way to get a discount. You will be required to show an ID, and always check Groupon and LivingSocial as well as sometimes these daily deals sites offer better pricing. Find the official Great Wolf Lodge Military and Armed Forces discount link here. 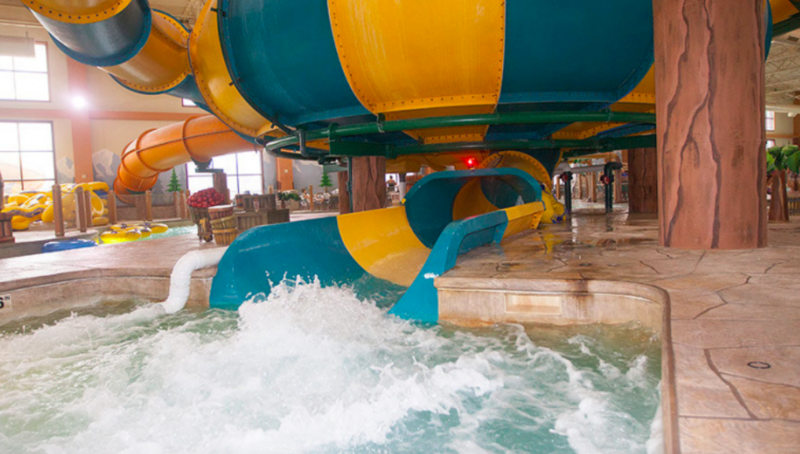 What are the rules on Great Wolf Lodge water park without staying? Like I mentioned above, it’s not permitted to swim at the Great Wolf Lodge water parks if you’re not an overnight guest at the Great Wolf Lodge hotels. Which, I absolutely LOVE! This means that Great Wolf Lodge can ensure that the lines stay manageable and the pools aren’t over crowded. Although, there are certain times of the year where they get more crowded than others. Is there a Great Wolf Lodge rate calendar? I find that using the Groupon deals Great Wolf Lodge calendar is the best way to see what rates are for the hotel. Although, this is only available when there is a deal available. You can check the rate calendar here. Does Great Wolf Lodge have wifi? Yes! I love that about this hotel that after the kids are wiped out and asleep I can still get a little work done and there are no additional wi-fi charges! Are there ever company discounts for Great Wolf Lodge? If you are with a big enough company, you might find that there are some additional discounts available to you as an employee, especially if you live near one of the Great Wolf Lodge locations. 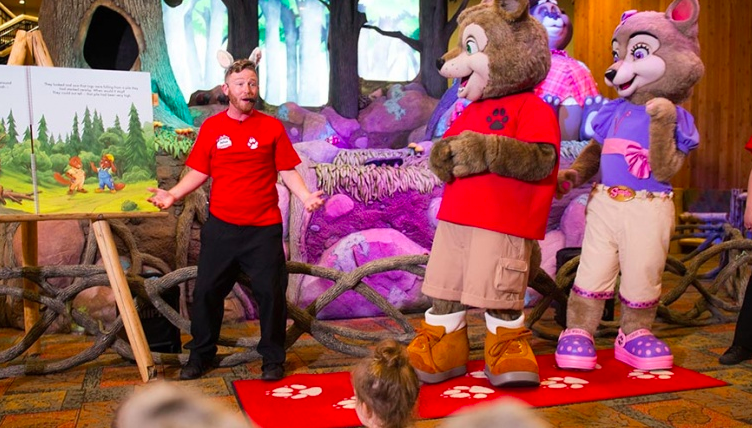 It’s best to check with the Human Resources at your company to see if they have a special relationship with Great Wolf Lodge offering you additional savings. Any more questions about finding a Great Wolf Lodge coupon? Email me at Kate@couponcravings.com, I’d love to help if I can!